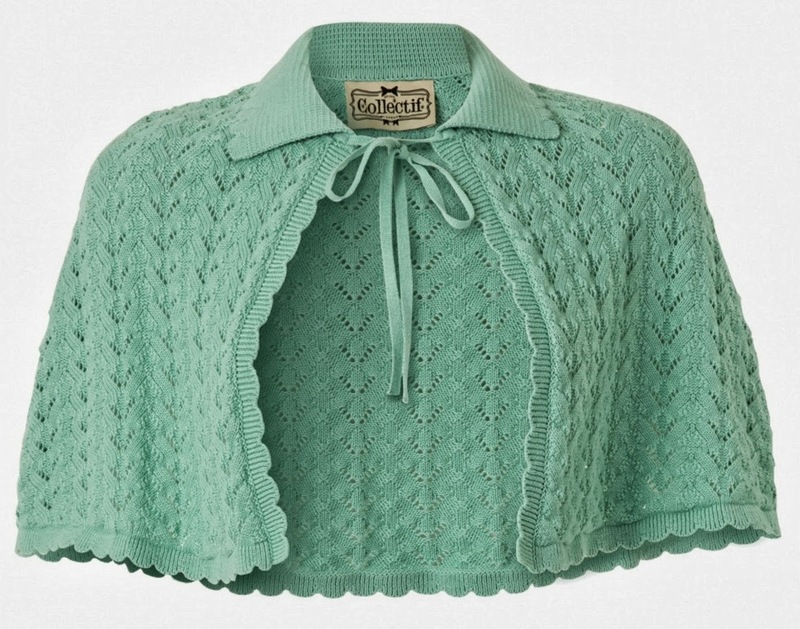 I have wanted a knitted cape for absolutely ages. Wonderfully 50s and quite simply a way to make any outfit adorable, in my eyes. However, if you can’t knit (knitting a bad ‘square’ when I was 10 is the extent of my talents) and you can’t find an original, it’s quite difficult to get your hands on one. Or so it had been… But then, finally, one of my favourite shops had the genius to recreate new capes from authentic patterns. And then they were even more brilliant and put them in the sale! So different, I just love them. 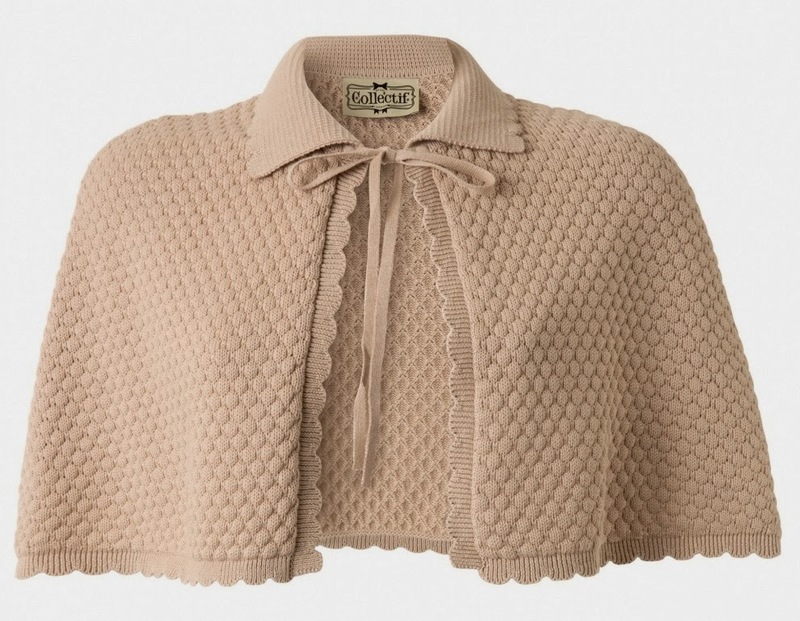 I chose the navy version of the Annette cape, thinking that the darker colour would mean I could wear it year-round. It’s actually surprisingly warm as an extra layer – I wasn’t expecting to get any kind of benefit other than, well, aesthetic from it. And just for a bit of fun, I thought I’d demonstrate how it could work with a complete smart 50s day look. Previous Post Video diary: strawberry picking – with style! Next Post Vintage style: BAIT shoes are finally here!